Spoon mixture into a sealable baggie, seal top, and cut a 3/4-inch hole in one corner. Pipe batter into six wells of a lightly greased donut pan. Bake donuts for 8-10 minutes, until just cooked through and slightly firm to the touch. 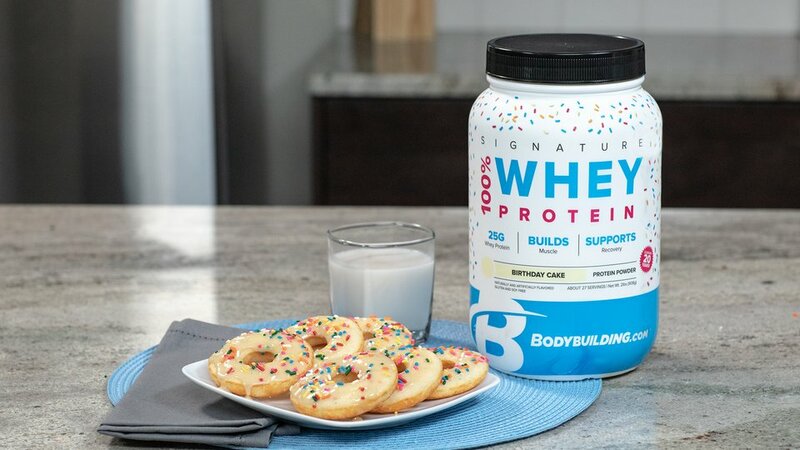 While donuts are cooking, whisk together protein powder and almond milk for the glaze. Add melted sweetener, coconut oil, vanilla extract, and sprinkles (optional) to glaze and whisk again. Once donuts are cool, dip them in glaze and set them on a plate in the fridge to set. Enjoy!